A new day dawns on Cologne, Germany, and with it, Gamescom 2014. Yesterday, we heard from Microsoft and Sony—now, it's EA's turn. 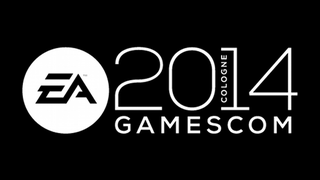 In twenty or so minutes, EA's Gamescom press conference will kick off to tell us all about the new Dragon Age, the new FIFA, the new Sims, the new Battlefield, the upcoming MOBA Dawngate, "and more," as EA's gamescom site puts it. The stream is embedded below. If you're in the mood for some late night gaming news, check it out—but don't forget: Kotaku will be covering the news as it happens.